They're not looking for pity--they're looking for medals. Generally Olympic teams are bound by nationality, that arbitary birthplace that forms a core part of your identity. But what about the athletes who have been robbed of a country, stranded in a perpetual in-between? They may not be able to or may not want to compete for their original country. The world has more refugees now than at any other point since World War II. Conflicts in the Middle East and Africa, religious persecution, climate change and a rash of other causes have driven more than 60 million people to seek safety in other countries. Some of these people are serious athletes who continue to train throughout the turmoil. They run along tracks, swim in lakes, do push-ups and stay active any way they can, as they also search for steady housing, work and stability. Being an athlete takes tremendous perseverance, but being a refugee athlete takes this commitment to another level. This year, 10 athletes have come together to form the first-ever all-refugee team. They're not looking for pity. They're looking for medals (and some fun). Yusra Mardini has journeyed a great way to make it to the Olympic Refugee Athlete team. One year ago, the Olympic qualified swimmer thought her life would be very different when she became a Syrian refugee. In 2015, she fled Syria for Germany – first crossing the Mediterranean sea to Greece. Tragically, as happens too often, her 6-7 person inflatable raft, which was carrying 20 refugees, capsized. Read More About Yusra's Journey to Rio. At the young age of just six, Anjelina Nadai Lohalith was forced to flee from her home in southern Sudan to Kenya, leaving her family behind. Her country was gripped by violence and war. “Everything was destroyed,” Lohalith said, who is just one of the many thousands of children displaced or orphaned because of the fighting in South Sudan. Still, she managed to make her way to Rio to compete in the 2016 Summer Games. Learn More About Her Journey to Rio. 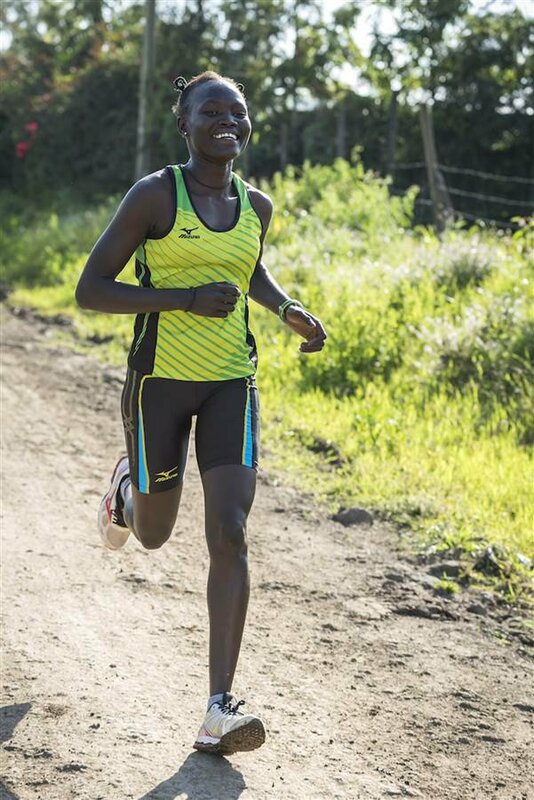 Rose Nathike Lokonyen is a 23-year-old athlete and refugee from South Sudan. And in August, she will compete in a team of 10 refugee Olympic athletes where she will run in the women’s 800m dash. Lokonyen’s unlikely path to Rio started in the South Sudan 13 years ago. That’s when she fled her home country at the age of 10. She was living in the Kakuma refugee camp and attending school when a teacher suggested she compete in a 10-kilometer race. She had never run competitively before. Learn More About Rose's Journey to Rio. When James Nyang Chiengjie was 13, he traveled thousands of miles by foot to flee the militias that were overrunning his country of South Sudan. Chiengjje’s father was killed as a soldier and when it seemed like he was going to be recruited as a child soldier, Chiengjje abandoned his home and sought safety. 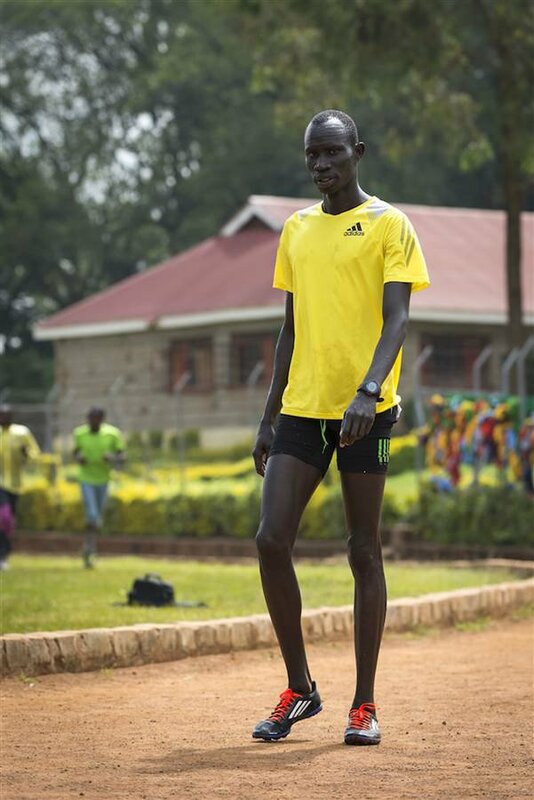 He ended up in the Kakuma Camp for refugees in Kenya and found solace in running. That comforting excercise soon changed his life. Learn More About James' Path to Rio. For Rami Anis, the journey to Rio has been long. Anis hails from Aleppo, the largest city in war-torn Syria, that today suffers from bombings and beheadings, with NGOs pleading for even just a 48-hour ceasefire. Yet Anis is proud of his home country Syria. He follows in the footsteps of his uncle, Majad, who also swam competitively for Syria. Under the guidance of his uncle, Anis grew up inspired to swim, developing a love for competitive swimming. Learn More About Rami's Journey to Rio. 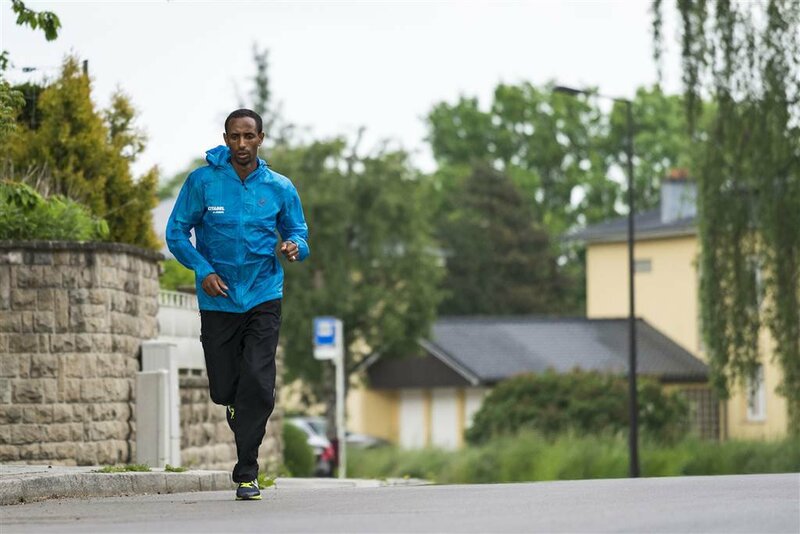 Yonas Kinde, 36, began running as a teenager in his home country of Ethiopia. But in 2012, Kinde had to flee for Luxembourg. 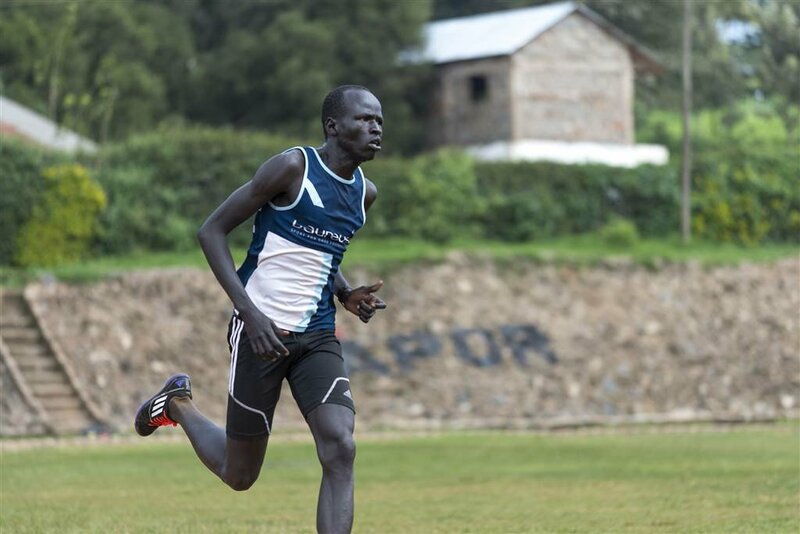 “It’s impossible for me to live there… it’s very dangerous for my life,” said the marathon runner to the United Nations Refugee Agency. “I left my country because of political problems. There are many difficulties, morally, economically, and it’s very difficult to be an athlete.” Learn How Yonas Made His Way to Rio. Eleven years ago, when he was just 10, Yiech Pur Biel he was forced to flee his war-torn home. He fled his hometown of Nasir, in Sudan, and made his way to the Kakuma Refugee Camp in Kenya. “In the refugee camp, we have no facilities – even shoes we don’t have. There is no gym. Even the weather does not favour training because from morning until evening it is sunny and hot,” Biel said. Biel never competed in running competitively, yet here he is, heading to Rio. Learn More About Yiech's Journey to Rio. Yolande Mabika, a judo wrestler, is one of just four women on the Olympic Refugee team. 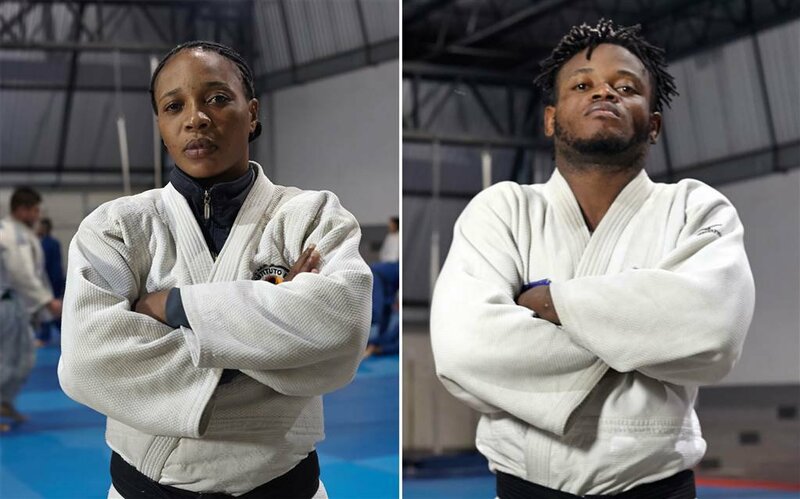 Originally from Congo, Mabika learned judo while living at a UNICEF refugee camp in Kinshasa, the capital of the Democratic Republic of Congo (DRC) — where over 5 million people in the past 20 years have died due to ongoing conflict. “I never had the chance to compete for my country, to carry the flag of my country,” she told Global Citizen. Learn More About Yolande's Journey to Rio Here. Popole Misenga also eventually ended up in Kinshasa. His journey started when he was 9 and he was forced to leave warfare in his home town of Kisangani. He spent eight days alone and abandoned, wandering through rainforest near his home before he was rescued and brought to Kinshasa, the country’s capital. There he learned his mother had been killed, a victim of the decades of war in the DRC. He also lost touch with his two brothers, who he has not seen in more than 15 years. Learn More About Popole's Journey to Rio Here. In his past life, Paulo Amotun Lokoro lived with his family and was a cattle herder in South Sudan. Then came the civil war. “The war started so we ran away,” he said. “We ran to the bush and stayed in the bush. There was no food, we just ate fruit.” Eventually, Lokoro reached Kakuma refugee camp in Kenya, where he took up running. “Before I came here I didn’t even have shoes,” said Lokoro. “Now we have trained and trained until we see ourselves at a good level, and now we know fully how to be athletes.” Learn More of Paulo's Story Here.